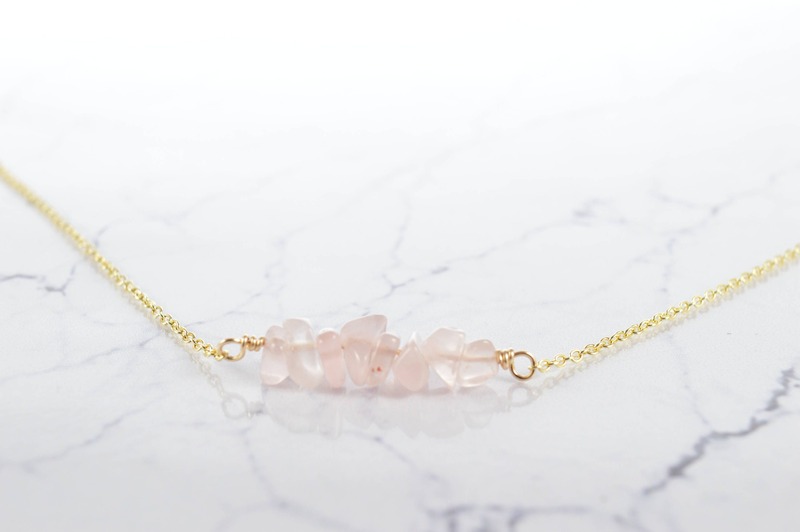 This beautiful rose quartz necklace is made with pretty pink rose quartz chip beads. 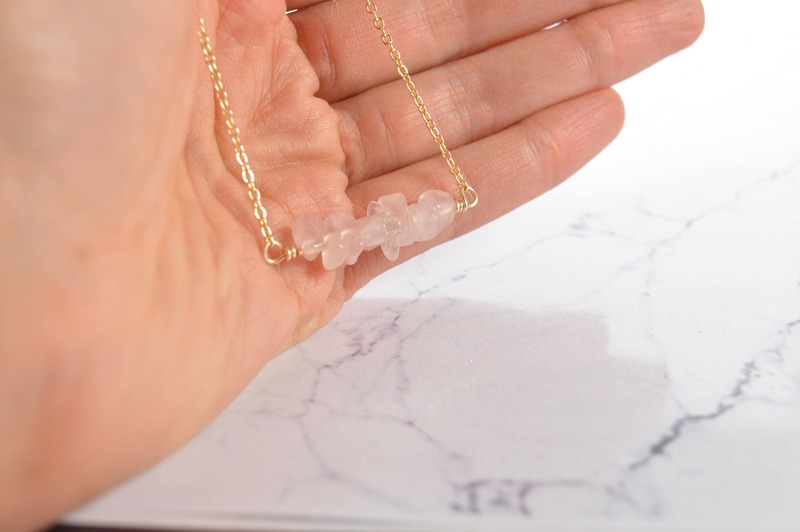 It comes in your choice of 14k Gold Filled, Sterling Silver, or Rose Gold Filled finish. It would make a great gift! Customizable gift receipt/message options are available at checkout!